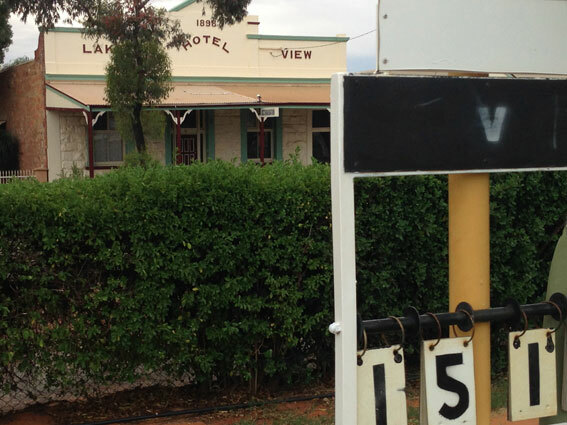 I stepped into the club rooms of the Boulder Bowling Club during a wander around my old home in October last year. I’d never been inside before. That was strange really as my mum Peg was a life member of the club. We lived on the same street as the bowling club and Peg would pop over a couple of times a week. She played in tournaments and pennants but I don’t think she was a particularly competitive person. In fact I reckon winning the raffle would have meant as much to her as winning the club championship. I never knew the Lake View Hotel on Richardson Street in Boulder to serve beer. The Boulder Bowling Club was formed in 1903. Its greatest player was Jack “Jacko” Osmetti, also a local football champion, who was named the WA Bowling Association’s champion of champions in 1956. I watched Jacko play in the final of a tournament once and was amazed by his demeanour. A big crowd watched on, the game was close and there was tension in the air… but Jacko was unfazed. Between shots he sipped a beer and chatted to people in the gallery. His opponent was serious, cursing under his breath and determined to win. Jacko won the match. 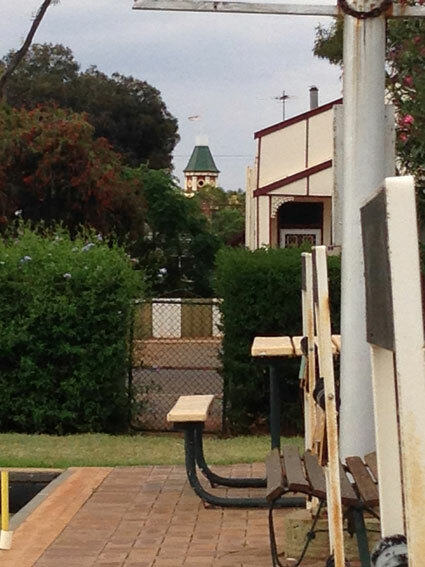 THe tower at the Court Hotel peaks over at the Boulder Bowling Club. Some members were drinking quietly in the bar when I visited. They said the club was going pretty well. 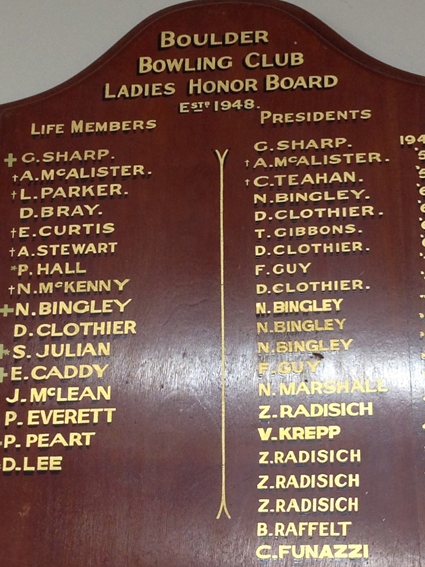 I was pleased to see Peg’s name on the Life Members’ board. 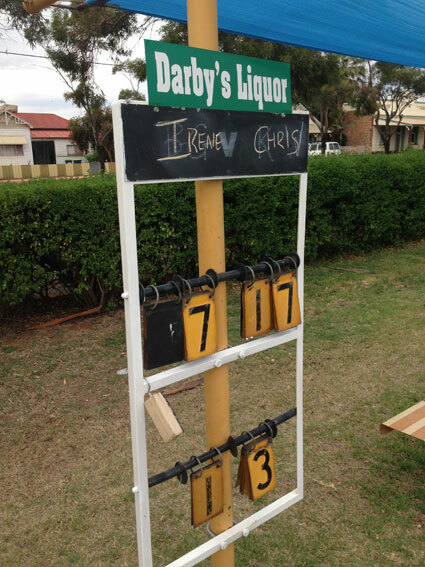 Peg Everett died on Anzac Day 2014 aged 99 – this club was one of the most important things in her life.